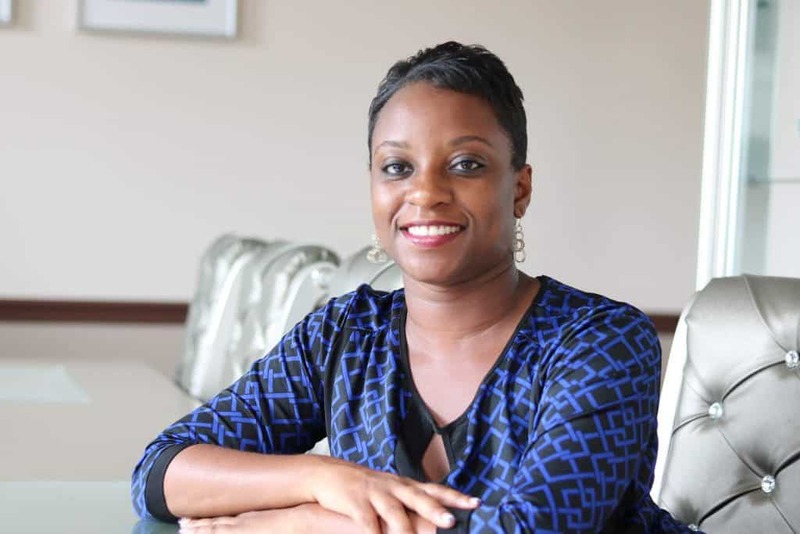 Savory Thoughts: “If You Are Working On Something That You Really Care About, You Don’t Have To Be Pushed. The Vision Pulls You.” – Steve Jobs. Friends, I am very happy to announce that I have the pleasure of participating in the 3rd Year of the Black History Month Virtual Potluck. 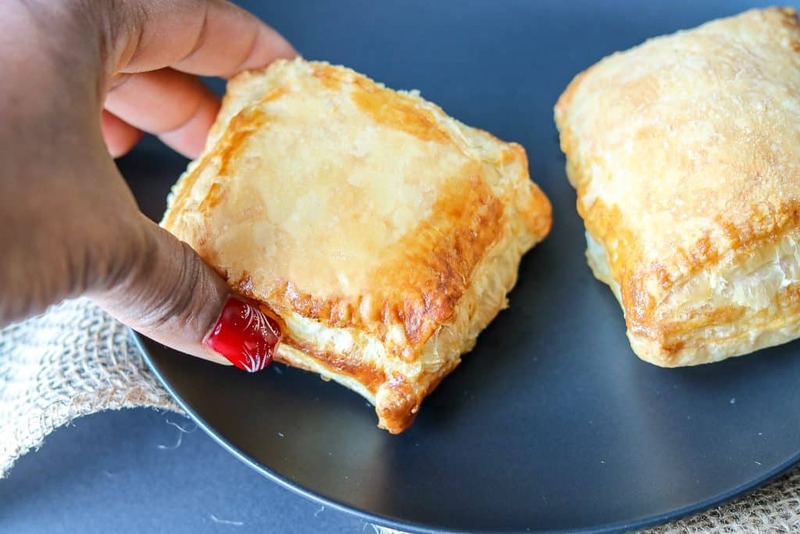 Alongside some amazing black food bloggers from around the world, who are listed below in this post, I am happy to present to you one of the many ways to make Haitian patties. First of all, happy Black History Month! I am happy to say that in this virtual potluck we have gathered to celebrate this special month through food in black culture. We are sharing some of the most famous dishes that made us drool for years! I hope you are hungry. Haitian Patties, or simply pate, is served for breakfast with eggs, as a snack, and mainly as an appetizer at large gatherings or special occasions. 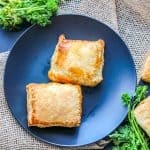 My quick and easy version of these Haitian patties are made with already made (store-bought) puff pastry dough, and are filled with a highly seasoned beef filling. These baked patties can be found throughout Haiti at roadside food shacks, local bakery/grocery stores, and anywhere that sells food. It is a must-have if you ever visit Haiti or a part of the Haitian community. Not until recently, I started sharing more dishes from my native country, Haiti. I have shared my pikliz, tasso, mais moulin, soup joumou, plantain bread, and red beans gravy. Most often, when Haitians come together for an occasion, patties are often the number appetizer served and quickly to leave the table. 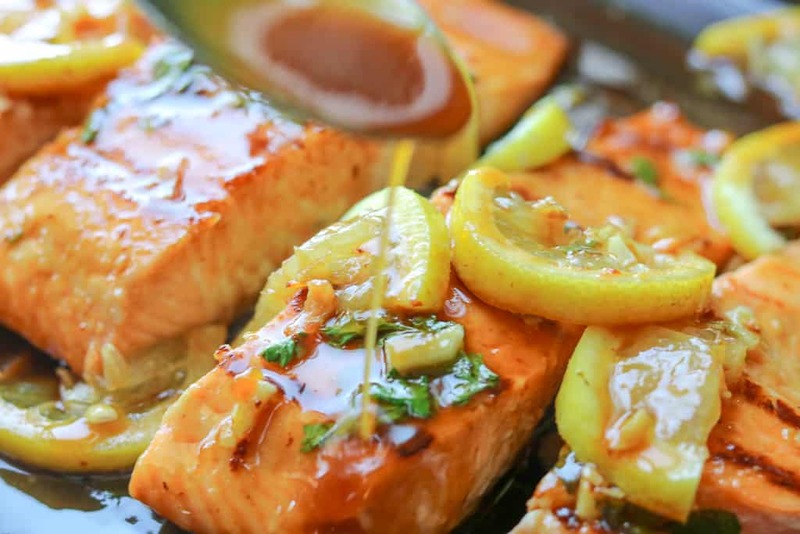 Haitians pride themselves in creating highly seasoned, full of flavor, and well spice dishes. Each food is unique in their own way. Our dishes are related to a special civil or political movement, an era in music or fashion, and a statement to help resolve a cause. Patties are well known in Haiti, it makes sense to introduce it to the potluck as it is a staple in Haiti; the first black country in the Western Hemisphere to gain their independence on January 1, 1804. They celebrated their freedom with Soup Joumou, Haitian Squash Soup. How to make Haitian Patties – Step By Step? The method is simple, although authentic Haitian Patties require homemade puff pastries. For the sake of time and convenience, I have included a simpler version to make this delicious appetizer. The Haitian patties can be made with ground pork, beef, chicken or turkey. It can also be made with fish, mainly cod. It can be spicy but ALWAYS flaky. For this recipe, I brown the beef on medium-low heat in a skillet. For spice, I added my homemade Haitian Epis (Haitian base seasoning), salt and pepper, chopped vegetables and onions, apple cider vinegar, better than bouillon vegetable base, garlic, and fresh herbs. Once cooked, the meat is transferred to a bowl then spooned on the dough. The dough is based with an egg wash before baking. The meat is lightly cooked as it will continue to cook when baking the patties in the oven on 400 degrees. Cut the dough into even pieces. The edges are sealed with egg wash; this method is optional but highly recommended, as it keeps the dough from separating while baking. Then, press the edges down with a fork to finish securing the sealing process. The patties are baked for 20 – 25 minutes or until golden brown on 400 degrees. They are served warm for breakfast with coffee or tea, lunch with salad, or as an appetizer in many special gatherings. I recommend rolling out the dough before cutting it to maximize the chances of having even pieces. Cut the dough into the desired size, but no more than 3 inches as the dough will puff up and expand. Best not to overcrowd the dough or add too much of the beef mixture, as it will cause the pastry to open while baking. Properly secure the edges. Egg wash is best for this method. To reheat the patties, simply place the patties on a plate and microwave for about 1 minute and 30 seconds for 2 patties. However, it is best if it is reheated in a toaster oven as it will taste just the same as it did when the patty was first prepared. You can freeze the patties. To protect it again freezer burn, I recommend wrapping it in plastic wrap, then aluminum foil, and last, place it in a freezer bag. Although it seems extreme, it does help to keep the patties fresh once reheated. Did you make these Haitian Patties (Haitian Pate) recipe? Tag me on Instagram or Facebook and please give it a star rating below! 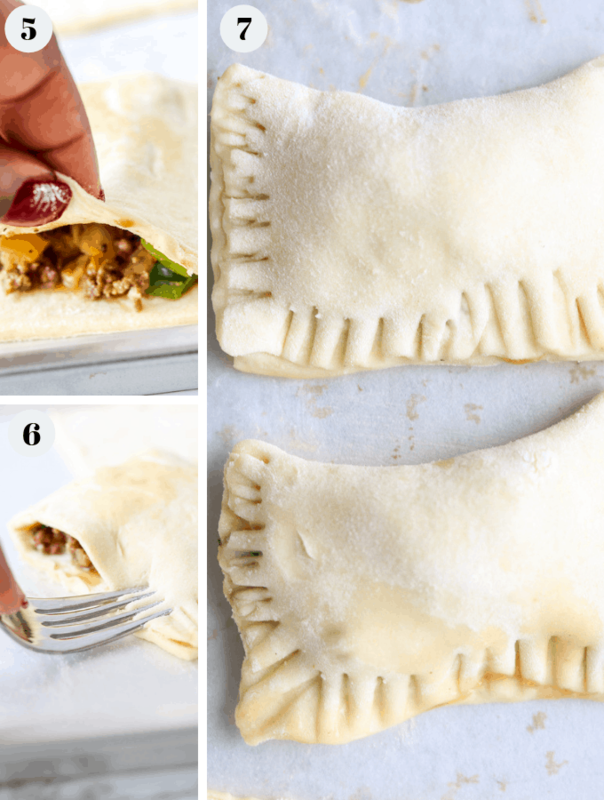 SAVE THIS HAITIAN PATTIES RECIPE TO YOUR PINTEREST BOARDS! 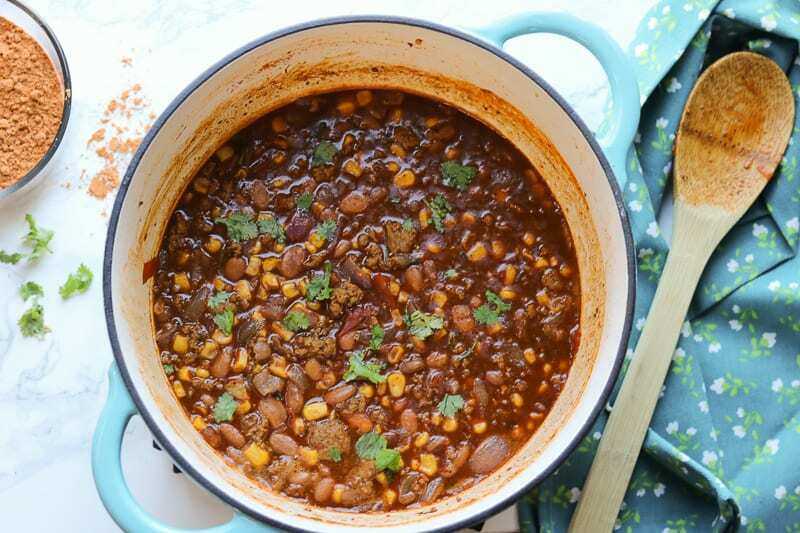 Don’t forget to check out all of the other Black History Month Virtual Potluck recipes below! 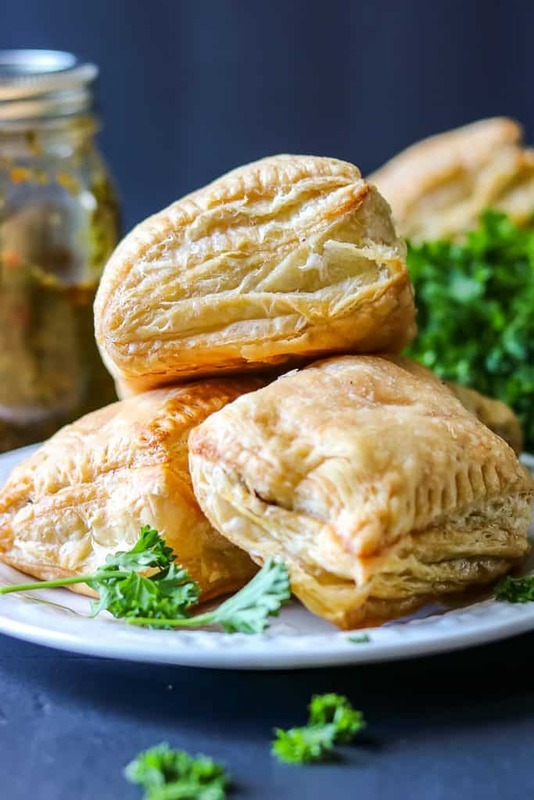 Haitian Patties (Haitian Pate) – Spicy, flavorful, delectable beef stuffed in puff pastry dough. Quick and easy Haitian Pate that comes together quickly and sails off the table. Simply Delicious!!! Preheat oven to 400 degrees. Prepare the egg wash and set aside. Cook the meat for 3 minutes on medium-low heat in a skillet with the Haitian seasoning better than bouillon base, salt and pepper, diced onions and mixed peppers. Do not cover. Transfer to bowl. Cut the puff pastry in even pieces. 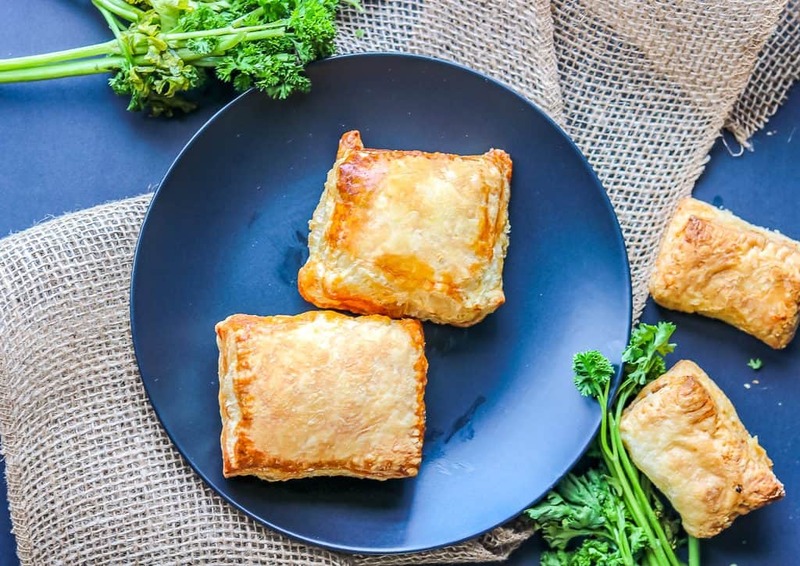 Fill the middle of the puff pastry with about 1 tablespoon cooked ground beef. Seal the edges with eggs wash using a pastry brush and fold the moist edge over. Secure the edges by pressing down with a fork. Place the patties on a baking sheet and bake on 400 degrees for 25 minutes or until golden brown. Serve warm and enjoy. Oh my goodness! I would love to try this recipe! Well, don’t those look like delicious little bites of goodness. Love the flaky crust. These would be great as an appetizer or as a meal with a side salad. I know my family would devour these. Such a great appetizer! You can’t go wrong with a flaky crust and ultra flavorful filling. I don’t get a chance to eat much Haitian food here, so thanks for such a great recipe! Ohh these look so yummy! And really easy too if one uses store bought puff pastry – which I think is totally fine! I am Haitian and this melted my heart! I love this so much I at a lost for words. Awww I am so glad to hear that. I am glad you enjoyed it. Thank you so much for reading!!! These haitian patties pate look perfect for serving at any gathering or party. Your step by step directions will make this an easy to recipe to follow! Absolutely NOT! Take two, take three and more. They are delicious. I love how versatile they are. I am so glad to hear you have had the chance to taste them. They are definitely a staple. I love spicy appetizers and this reminds me of a spicy version of an empanada. Love the use of puff pastry too. It’s the perfect finger food for a party too. These look SOOOO delicious! 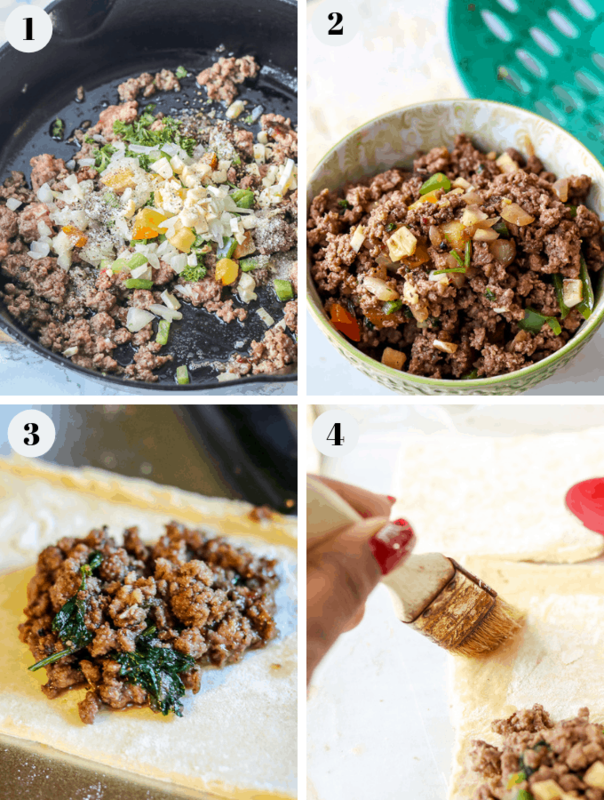 That ground meat mixture sound incredible, and I just love using puff pastry. Def want to check out that Haitian seasoning! Thank you, Danielle. The seasoning is amazing. It goes well with everything. Oh yum! I can picture myself enjoying a whole bunch of these haitian patties. We have quite the same in Indonesia; and I can’t wait to try this version. I hope you love it just as much. Thank you, Lathiya! Yes, the creator is a genius to come up with this idea. Happy Black History Month! 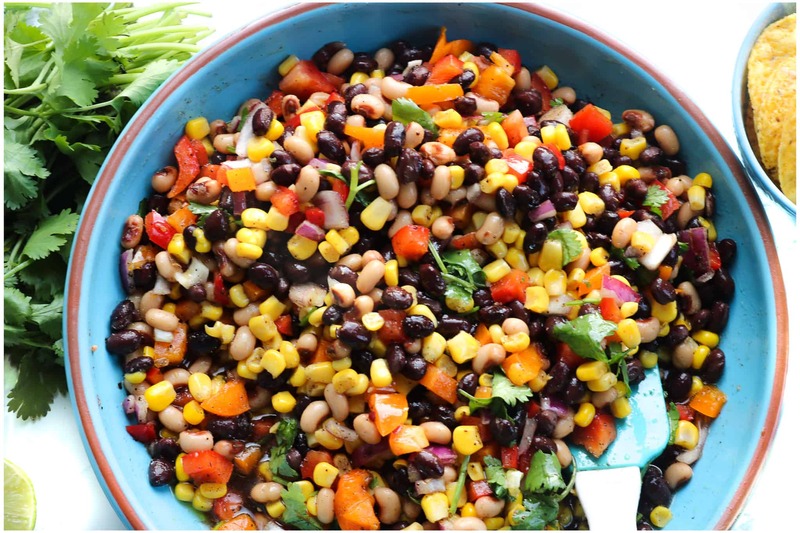 This virtual potluck is such a wonderful way to celebrate. Food is a great connector of people. Thank you for sharing your recipe! These Haitian patties look really tasty. They also seem quite easy to make so def want to try this recipe out. Great for a party! Going to pin for later! Anything with puff pastry, I am in! That looks yummy. I can only imagine how delicious these patties are! One thing I am 100% sure about is that I wouldn’t be able to stop eating them – that’s how delicious they look! Fantastic recipe!